We have previously discussed the outrageous case of Asia Bibi who is the latest victim of a death sentence under the medieval Sharia law system imposed in Muslim countries — sentenced to death for insulting Mohammad. Now, a court in Lahore upheld the verdict and affirmed the death sentence for the 50-year-old motion of five. She said that her nightmare began when she took a drink of water from a bucket being used by Muslim women. As a Christian, she was viewed as unclean and the women assailed her and later accused her of saying something insulting to Mohammad. Not only did leading Muslim clerics in Pakistan support her execution but one offered a reward for any faithful Muslim to murder her. The incident leading to the charge began when Bibi fetched water as a farmhand and offered it to other women. 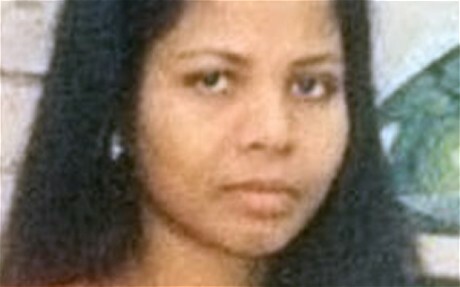 The Muslim women refused because it had been touched by a Christian (Bibi) and thus “polluted.” Later a mob tried to beat her to death and she was rescued by police, who then charged her with blasphemy after the same women accused her of saying bad things about the Prophet Mohammed. Even assuming that she insulted Mohammad, such an offense should not justify a criminal charge, let alone death, as a matter of basic human rights and civil liberties. It is the latest example of the inherent conflict between free speech and free exercise on one hand and Sharia law and Islamic orthodoxy on the other. However, We have seen a comprehensive crackdown on the West on free speech under some laws combating hate speech, discriminatory speech, and even disruptive speech. While the first amendment only deals with government action, we have become increasingly concerned over the chilling effect of private action over speech. For example, we have discussed the controversy involving Yale University Press. 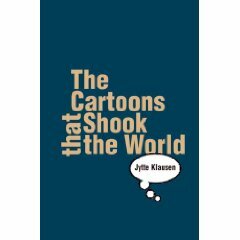 In a shocking decision, Yale University Press published Jytte Klausen’s “The Cartoons That Shook the World” (on the cartoons that led to riots and over 200 killed in protests worldwide). However, Yale removed the the 12 cartoons from the book so not to insult Muslims. Thus, you could read the book but not actually see the cartoons themselves. It was a decision by Yale University Press that is still discussed as anti-intellectual and cowardly in academic circles. Bibi now has 30 days to appeal to the nation’s highest court. In a chilling statement, Qanta Ahmed, a British-born Pakistani human rights activist, said that usually cases do not get this far because “The vast majority of those being accused of blasphemy don’t even make it to execution. They are usually lynched or murdered in custody.” We recently discussed such a case of a jailer killing a Christian accused of blasphemy in prison. For many years, I have been writing about the threat of an international blasphemy standard and the continuing rollback on free speech in the West. For recent columns, click here and here and here. Much of this writing has focused on the effort of the Obama Administration to reach an accommodation with allies like Egypt and Pakistan to develop a standard for criminalizing anti-religious speech. We have been following the rise of anti-blasphemy laws around the world, including the increase in prosecutions in the West and the support of the Obama Administration for the prosecution of some anti-religious speech under the controversial Brandenburg standard. These cases reflect the true purpose of blasphemy laws: to silence minority sects and religious critics in the name of a “true faith.” Fortunately the effort of Hillary Clinton and others in the Administration to reach a compromise on blasphemy failed, though there continue to be efforts to create an international standard. Muslim nations will remain in fundamental conflict with human rights until they renounce the crimes of apostasy and blasphemy. There are no greater offense to basic civil liberties than to punish people for expressing their religious beliefs and following the religion (including no religion) of their choice. It is difficult to see the moral distinction between extremists like Islamic State beheading Westerners and nonbelievers and our allies like Pakistan executing the unfaithful. One certainly has a longer “judicial process” but both are enforcing medieval religious canons with lethal effect. Indeed, the judicial process is based on religious dictates and rejects claims of free speech and free exercise by definition. While such cases can later lead to commutations (after international outcry), the basic claim remains the same: those who do not believe as we do are worthy of death. Annie – what I find most interesting is that a few of the weekend bloggers cannot allow people who are religious to be tolerated at any level. It is the ranting in the blogs that sets of the comments and then both sides pile in. You must be talking about moi. who it is who writes the intolerant Blogs. Mis spulling above. First sentence meant to say: or “Muslim countries” not the word our. I do not see why you folks refer to these Pirate Territories as nation states our “muslim countries”. The newly crafted Islamic State is getting recognition as some nation state entity. It is kinda like doctors without borders. None of those Pirate Territories of Syria, Iraq, A hard place, Iran, can be called true nation states. We should not respect their borders, their politicians, their terrorists, their pirates, their schmucks at the United Nations, or their bloggers. The United States needs to simply pull out and let them kill each other for a few years. Stop any aid to any place East of Corfu. Send in the Ebola. Keep the marines at home. Paul, Great link. You can tell the handful of liberals here who actually will socialize w/ a non liberal. The vast majority are totally isolated. Of the family and friends w/ whom I have regular contact, 30-40% are liberal. Some are damn Commies. And, if you eliminate family obligations, the only people w/ whom I socialize are people I want to socialize w/. I made a decision about 20 years ago that life is too precious and fragile to spend it w/ people you don’t like. That epiphany came looking down the barrel of a shotgun held by an angry alcoholic/drug addict. Everything becomes crystal clear under those circumstances. I had heard about that story and I wasn’t surprised at the conclusion. Olly – here is that article I was looking for. Finally found it. Dredd – thanks for the link. I do like Dylan lyrics. In later years, I just couldn’t understand a word he said whenever he spoke extemporaneously on TV. I’m sure if I had a printout, I would enjoy it. He is a marvelous poet, but he needs subtitles, for me, at least. I feel sorry for the non-Muslims who live in Pakistan . I also feel sorry for Muslims that they are so undeveloped even in the 21st century . It must be so suffocating to live with Muslims as a minority in the Islamic Republic of Pakistan . I was flabbergasted to see paid ads by the US govt. on Pakistani TV channels in which BO and HRC were apologizing for the YouTube video about Mohammad . If our “leaders” don’t understand that how apologizing like that is actually reinforcing the dark age behaviors then I guess I should feel sorry for our leaders too . Man am I getting grandiose or what ? Dredd – but can you understand what Dylan says when speaking? He’s a modern poet but darn if I can puzzle out what he’s saying when he’s speaking. Most listening is without hearing. Most listening is without hearing? Really? Conversation with you is a monologue. The universal darkness faking light. Let’s spice it up a bit. Fear and lack of reason are the fundamental constituents of religion.